Nine years ago I bought an ocean-view home in Nicaragua and have lived here ever since. It was the best decision I ever made. I could never have afforded a house like mine in the U.S. My French doors open onto my patio, where I can watch the ocean waves crash over the rocks. My yard looks like a jungle—coconut palms, fruit and avocado trees, a herb garden, and so many colorful flowers: plumeria, hibiscus, marigolds… Thanks to the bargain price of real estate in Nicaragua, I own a slice of ocean-view paradise on an acre for just $132,000. Turnkey colonial homes right in the heart of the city can be yours for as little as $90,000. Thirty minutes’ drive west of the city you can bag a two-bedroom beachfront home with a balcony for as little as $139,000. And you’ll find farms close at hand if you want to homestead. There’s more good news. Buy right and rent out your new property, and you can make money—or at least have your home pay for itself. León is one of Nicaragua’s most beautiful cities and a vibrant university town, and the number of foreign tourists and expats figuring this out is on the rise. Then there’s the growing middle class: Locals with more money to spend. The economy is on the up, there are more jobs, and many young folks are looking for homes to rent. Of course, buying in Nicaragua is not without some challenges. There’s no multiple-listing system, nor are there many real estate agents. It often comes down to walking around until you find a property for sale in a neighborhood you like. But if you do…here’s a taste of what you’ll find. A city of around 200,000 people (and many more when the various universities are in session), León is a delight for the eyes. 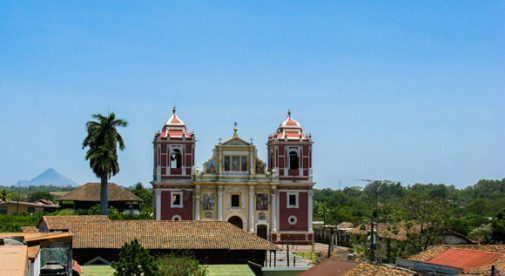 Founded by the Spanish, and for many years the country’s capital (these days that’s Managua), León is rich in monuments and historic buildings. A walk through the streets takes you past towering baroque-style churches; some are refurbished, while others hide their magnificent colonnades and domes behind weathered paint and peeling façades. The same mix of restored and waiting-to-be-fixed-up goes for the city’s colonial homes. Many expats choose to refurbish an old colonial house. The hardwood or old-tile floors, stained-glass windows, and decorative carved accents are impossible to find in modern houses. I saw one three-bedroom, one-bathroom house in the heart of the city for $115,000. It has a large central courtyard and an open-air utility room at the back. There’s room for a giant garden or pool (or both) in the courtyard area. Add in another $15,000 in refurbishments, and you could make this place magnificent. The house is close to the city center, so you wouldn’t need a vehicle to get around. And it would make a great rental. I figure you’d get around $9,000 a year if you rented it year-round to newly arriving expats or as a vacation rental. If you prefer move-in ready, a newly renovated, furnished, three-bedroom, three-bathroom colonial not far from the central park is available for $125,000. With more than 2,500 square feet of living space, it has a spacious living room and garage, kitchen with pantry, and backyard with terrace. Possibly the best bargain I saw in the city limits was a brightly painted colonial, close to the central park and cathedral. Right now there’s a Mexican restaurant in the front of the house. The home has three bedrooms, two bathrooms, a well-lit kitchen, a patio with a pergola, a small dipping pool, and a garage. All for only $90,000. If you rented out this place, I bet you could get at least $700 a month. These are the kinds of deals in León right now. And now is the time to buy…ahead of the crowds. People are starting to write about León and visitors are arriving in numbers. They like what they see. That’s your chance to profit. Only 30 minutes from the city you’ll find miles of virgin Pacific beach. Here, blue waves crash on the shore, dolphins and whales play offshore, and pelicans fish in the surf. Northern Nicaragua has some of the best beach properties in the country. And at bargain prices. Living here, you could sit on your deck with a cocktail in hand and watch the spectacular sunset. Go to León for shopping, the nightlife, the international cuisine…but relax in front of the deep blue sea all day, every day. Salinas Grandes: Expats are just beginning to notice the potential of Salinas Grandes’ virgin beaches. You can have a furnished, 2,200-square-foot beachfront house for only $199,000. I loved this three-bedroom, three-bathroom house on a large lot. It includes a caretaker’s house, parking, air conditioning, and backup power. I figure you could rent this for $500 a month, grossing you $6,000 a year. Another property I looked at was a furnished two-bedroom, two-bathroom oceanfront home with plenty of room to expand. A fabulous second-story balcony and a deck/patio come with the package. The lot is big enough to plant a garden or install a pool. And it’s only $139,000. As a rental home, this place could gross $5,000 a year. 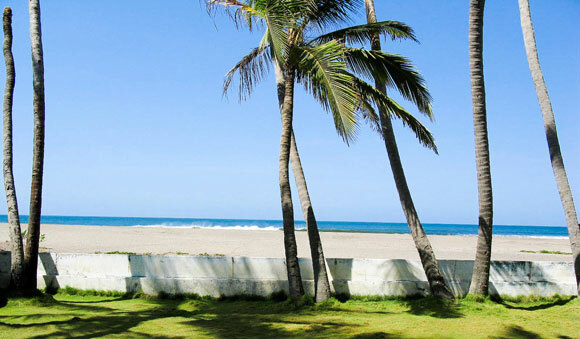 Poneloya: Only 30 minutes from León, Poneloya consists of a strip of beachfront properties that were (and some still are) owned by wealthy Nicaraguans from Managua. 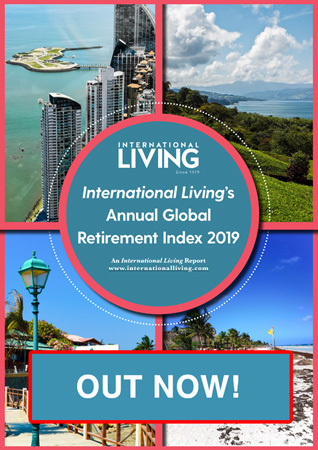 Expats are now arriving and redecorating purchased houses, buying lots, and building their own dream homes on the beach. Right now, you can buy a seven-bedroom, seven-bathroom beachfront house in Poneloya. It comes with an outdoor pool, a hot tub, a landscaped garden, and nearly 50 feet of beachfront. And the cost? Just $250,000. Live here in your dream home, rent it out, or even convert it into a boutique hotel. I saw another 2,000-square-foot house with a beautifully landscaped garden, appliances, ample parking, and a deck/patio and storage space going for only $189,000. It’s turnkey and fully furnished, with five bedrooms, two bathrooms, and an outbuilding for storage. Las Peñitas: Las Peñitas remains a small fishing village. It also caters to tourists. Here you can enjoy a tour of the Juan Venado Island Nature Reserve to see the flora and fauna that grow in the mangrove swamps. Right now, the largest ocean-view property in Las Peñitas is on sale. It has 180-degree views of the surf break, the estuary, the Juan Venado Nature Reserve, and the rolling hills behind the beach. Just cross the street and you are on the beach. The building has nine bedrooms and two bathrooms and lies on a 16,145-square-foot lot. For sale at just $175,000, this is a great deal. Perfect for a hostel or boutique hotel. Imagine green meadows, hardwood trees standing tall, and fruit trees with branches weighed down with papaya, mango, and limes. Horses, cattle, or pelibuey (a wool-less breed of sheep that look like goats) graze the fields. All this can be yours with a northern Nicaraguan farm. You can even turn it into a tourist retreat and benefit from the tax breaks open to those who open a tourist business in Nicaragua. Think: yoga retreat, farm-to-table nutritional initiative, or work-on-a-farm experience. A gorgeous 55-acre farm with furnished hacienda and all necessary outbuildings is on sale for $700,000. This very fertile farm sits right on the highway, only 15 minutes from León. Land here normally sells for as high as $30,000 an acre. The infrastructure (main house, outbuildings, fences, and the like) alone would cost $500,000 to replace. I’m not really a farm person, but this place was amazing. The furnished, two-floor hacienda is like something out of Bonanza. With its hand-forged decorative tiles, wood accents, old-style bathtub, and beautiful antique furniture, it’s a magnificent example of a grand farm in the woods. It’s all surrounded by mature old-growth trees, palms, mature citrus trees, and ornamental plants. It’s close to Salinas Grandes’ beautiful beaches (10 minutes) and has access to León. Ecological Finca La Mancha Negra, built in 2002, is seven-and-a-half miles or a 10-minute drive from León. An 11.2-acre fruit tree and native-wood farm, the main red brick house has five rooms and a kitchen. Drinking water, a garden, pool, and bathhouse/laundry facility complete the package. You can’t go wrong with the $150,000 price. A dynamic middle class is emerging rapidly in León. Young Nicaraguan professionals, as well as younger expats, are looking for modern homes here. This is opening the way for modest but beautiful townhomes or standalone homes at the city’s heart. You may want to live here yourself and enjoy this new lifestyle on a very low budget. Or rent out your newly built home to the city’s new middle class. In Cova de Iria, a luxury development ﬁve minutes from the city center, you can get an unfurnished two-bedroom, two-bathroom house on a 1,937-square-foot lot for $68,500. Buy this as a rental property and you could earn $5,000 a year. A three-bedroom, two-bathroom unit goes for $76,000, and a four-bedroom, three-bathroom unit is only $86,000. Another residential development, Fátima de Jesús, offers houses between $60,000 and $120,000. For the latter, you’ll get a 1,668-square-foot, three-bedroom, two-bathroom home with a parking area and ample garden. Also included are granite countertops, closets, and 24/7 security. You can expect to gross at least $5,000 a year if you rent out this house.